This is the most important quality of a home for good health. There are many upfront design implications, material choices and ventilation concerns to be aware of. 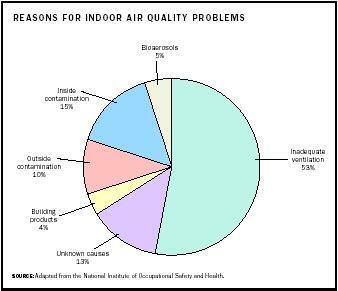 IAQ is a holistic subject with small amounts of science and research showing us preferred building practices for better health. There is an increasingly recognized path, for repeatable measurements of reduced indoor-air pollutants in our homes and buildings. The building envelope is where to start. 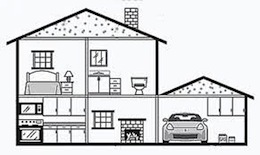 Air barriers need to block the most common sources of pollution. The insulation layer, needs to save energy and reduce risks of condensation in hidden building cavities. The weather barriers need to protect the envelope and structure from wind blown rain, with its resulting mildew, mold and rot. The building envelope is the most permanent system in a home. It's difficult to change and improve once built. Controlling air movement, should be a building envelope's main characteristic, for achieving better indoor-air. The blower door test, is the tool for measuring this quality. Most experts use the results (or expected results) as a starting point for further discussions involving energy use, comfort and IAQ. Our industry is finally beginning to understand the importance of the blower door test. It represents the biggest leap forward ever in housing performance. 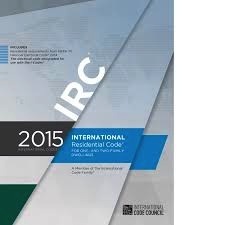 International building codes require this test, and achieving certain minimums should be a primary goal for those interested in IAQ and cost-effective energy efficiency. If you care about indoor-air, you should care about your blower door test results. 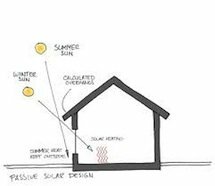 With an airtight building envelope in place, there is reduced risk of pollution sources and better control over indoor-air. We can now reliably deliver an appropriate amount of outdoor-air from a safe location. Outdoor-air is always cleaner than indoor-air and this is where we talk about the best ways of providing it. There is an easy way to achieve a minimum level of indoor-air quality performance; obey the minimum law. Not local, international. Ventilation standards at international level of code, are more aligned with the current research regarding indoor-air-quality and health. 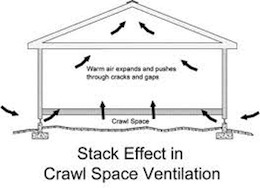 People can ventilate as much as they want. The important thing for new construction, is to provide the system in the first place. 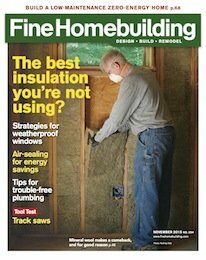 62.2 is a valuable guide for what should be a base level of indoor-air performance. Are you meeting minimum ventilation (IAQ) codes? With a good building envelope, proven air-tight by a blower door test, and a balanced outdoor-air ventilation system providing the current recommended rates, we are 50-75% of the way to having excellent IAQ. 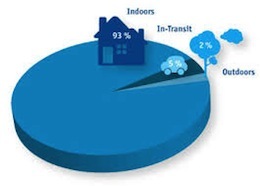 Reducing indoor-air pollution sources and exhausting indoor generated pollutants are the next important measures. Many IAQ risks accompany some common but questionable building practices. If unaware of the problems that come with these choices, please take a look before including them in a home.